The Countdown Begins…Takeaway Food Expo 2016! 04 Aug The Countdown Begins…Takeaway Food Expo 2016! Summer is still in full swing but we’re counting down the days until the Takeaway and Restaurant Innovation Expo 2016 at London’s Excel. On the 27th and 28th of September, the country’s leading restaurateurs, takeaway chain owners and business minds will be appearing for a couple of days of ideas, insider tips and inspiration. We’ve also got a very tempting deal in the pipeline for customers who come to us through the show so read on to find out more. 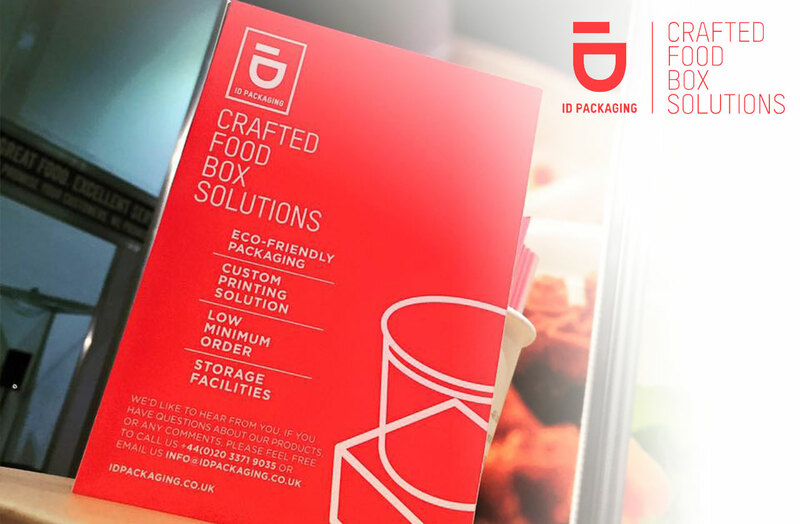 At ID Packaging, we want to be the go-to company for eco-friendly, creative food containers. Our stand at this year’s Expo will feature friendly faces from the office and we’ll be on-hand to answer your questions and queries. We love to talk shop so if you’ve got an idea for your business packaging and haven’t yet found a solution, we’re always eager to try and figure out new ways of working to suit you. We’ll be hanging out at stand 670 of the exhibitor’s area and want to try and meet as many industry faces as possible over the two-day event, so do pop over for a natter. So how about that deal? Well, we know that you don’t always have the need for a large packaging order. Maybe you’re trying out a new design idea or your cash flow isn’t timed quite right to get into the tens of thousands. ID Packaging like to support businesses of a huge range of sizes so at this year’s Expo we’ll be promoting our low-minimum order offer. 12,000 doesn’t seem so big and if we tell you that you can spread the number over three different product types the deal gets even sweeter, right? Well, we don’t want to spoil the surprise but if you place with us and confirm artwork by 31st October, we’ll reduce our minimum even more so you only need to place an order of 4,000 to secure a delivery from ID Packaging – just make sure you zap your 50% deposit over to us too to lock in the deal. We’ve got over twenty crafted design solutions and a good chunk of our products are eco-friendly and made from SFi-certified paper too. Food-safe dyes are always a feature and custom printing to your exact design specification is on the list too, of course. We want your order to reflect your needs exactly so come see us at the Takeaway Expo 2016 and find out exactly what we can do for you and your business. Tickets are free so head to http://www.eventdata.co.uk/Forms/Default.aspx?FormRef=TIE96Visitor to claim yours.